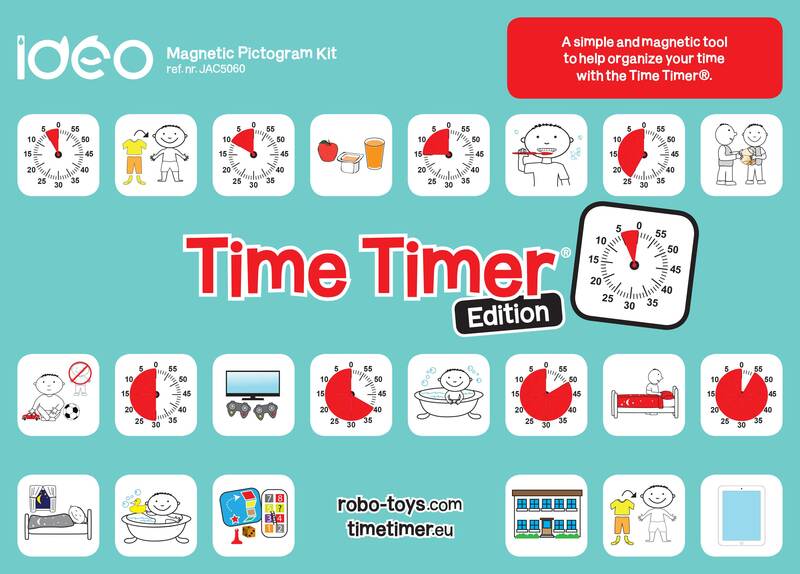 The Time Timer Ideo Magnetic Pictogram Kit is an easy to use tool to support children who need more guidance during their daily activities. It will be most effective while used in combination with a Time Timer. 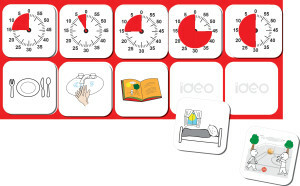 The pictograms will help to develop independence and also to create a perception of time during all kinds of activities, like getting dressed, personal hygiene, play, school and all kinds of tasks. 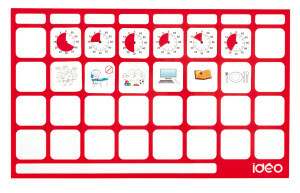 The set is magnetic, durable and ready to use. No printing, no cutting, no glue, no Velcro or adhesive are required. The illustrations are simple and easy to understand. Any child can identify with them easily. 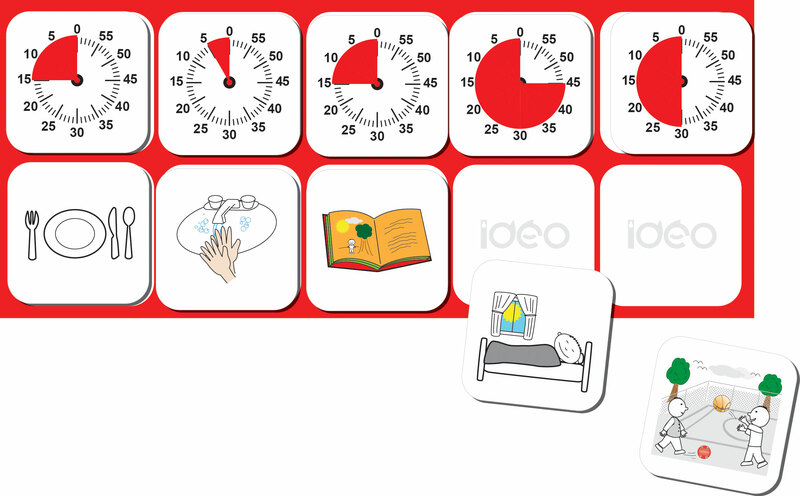 It is also an excellent tool for parents, teachers and professionals working with children to guide them and help them become more independent. The magnetic door hanger can be hung on a door handle or placed on any metal surface. 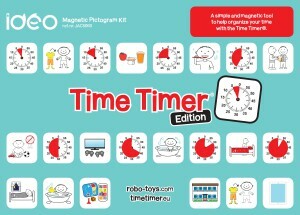 Simply place the magnetic pictograms on the hanger and create the activity or routine of your choice. The hanger will hold up to 10 magnetic pictograms on each side. The possibilities are endless! Dimensions appr. 28,8 x 8,5 cm. 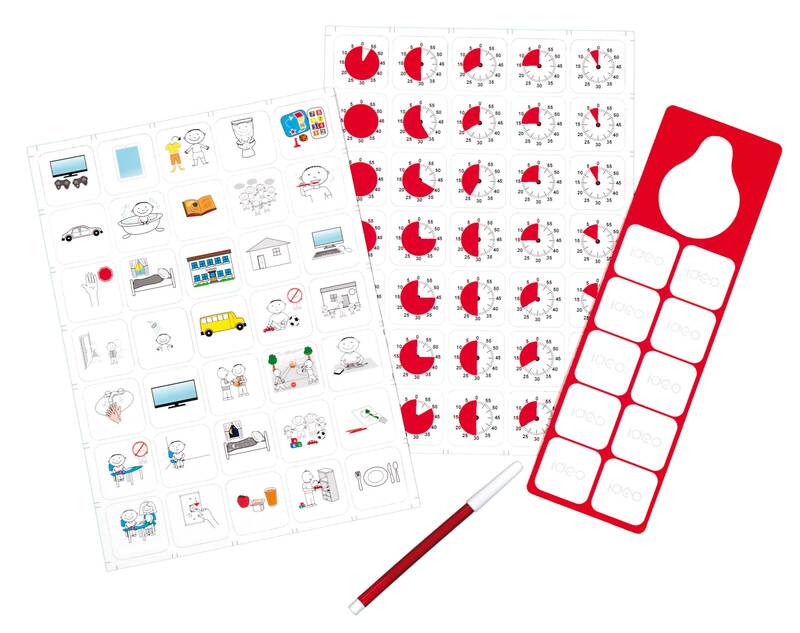 A handy portable kit with a 2-sided mini magnetic panel that can hold up to 4 magnetic pictograms on each side. For any outdoor activity or special outing. 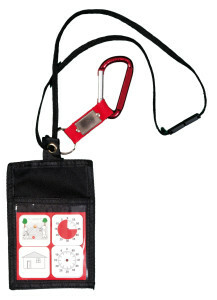 The portable kit can be carried at the belt using the snap ring or at the neck using the lanyard. 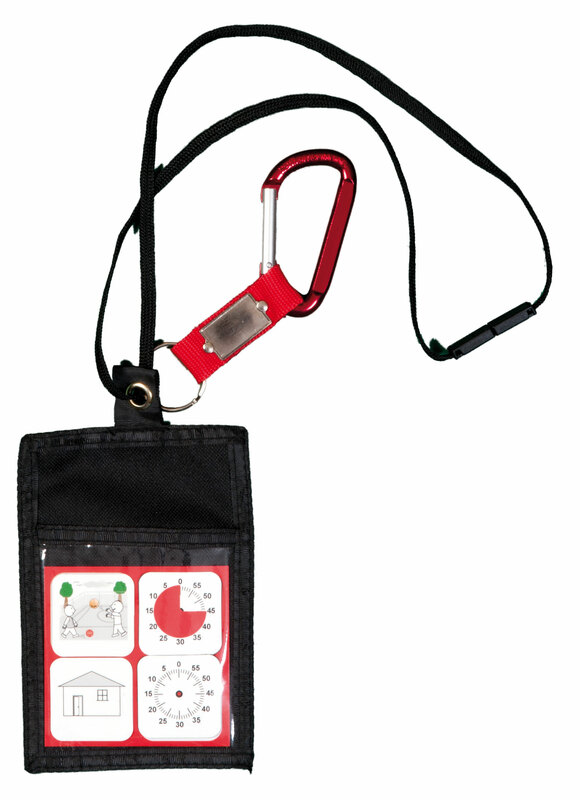 The magnetic support can hold up to 10 pictograms. You can fix it on a work surface with two strips of Velcro (included) or place it on any metal surface. 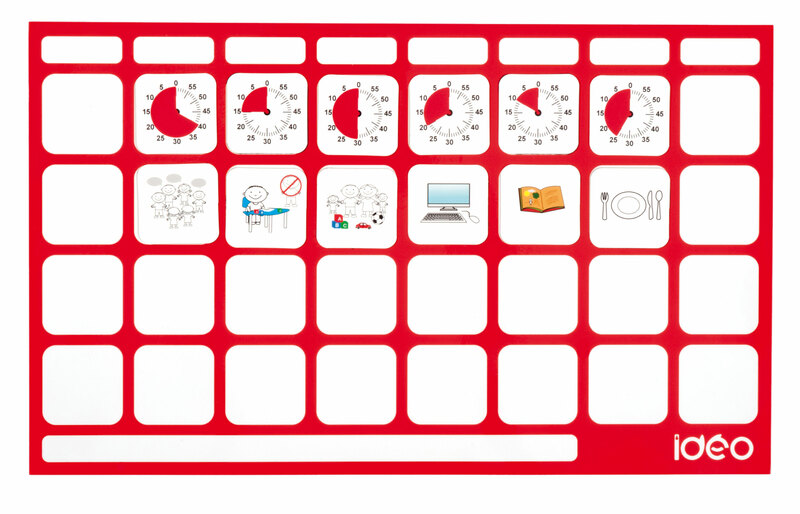 You can place The reuable magnetic Board on any metal surface. It can hold up to 32 pictograms.